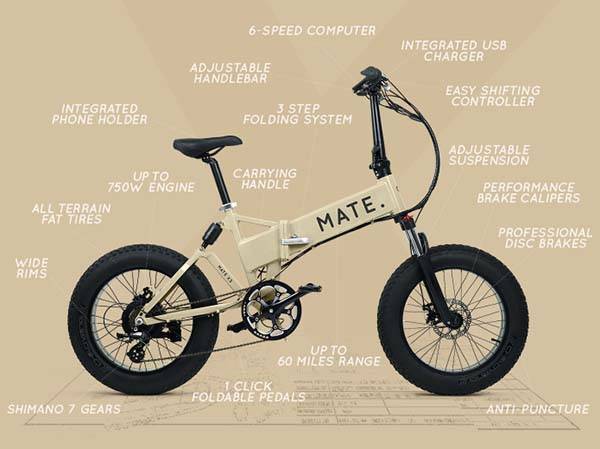 Mate X, the full loaded folding electric bike has been ready to make your active lifestyle more cool. Like the tough design? Let’s keep checking. 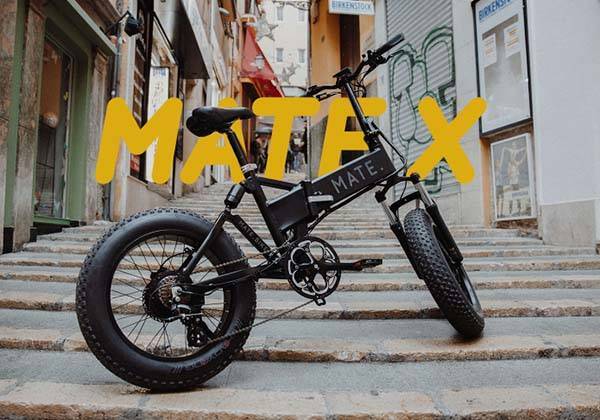 The Mate X is the latest member of Mate eBike series, which weighs 57.3 lbs without battery. The new eBike is designed to fit everyone from 4’9″ to those over 7’0″ with ease, and the adjustable saddle and handlebar allow it to deliver an optimal riding experience. Meanwhile, the foldable design allows it to be folded down very compact 91cm high, 76cm long so that you can easily bring it along anywhere you want. The 100% forged 6061 aluminum alloy frame delivers a lightweight and durable construction, 5 bold color options bring some personalized aesthetics to the electric bike. Mate X is available in three models based on different batteries and motors including 250, 250+ and 750S. Mate X 250 and 250+ come equipped with a 250W motor. Compared with the 48V 11Ah battery pack for Mate X 250, the plus version features a 47V 14Ah battery pack, so the Mate X 250+ offers up to 55 mi riding range instead of 35 mi, both versions also deliver a top speed of 15.5mph. 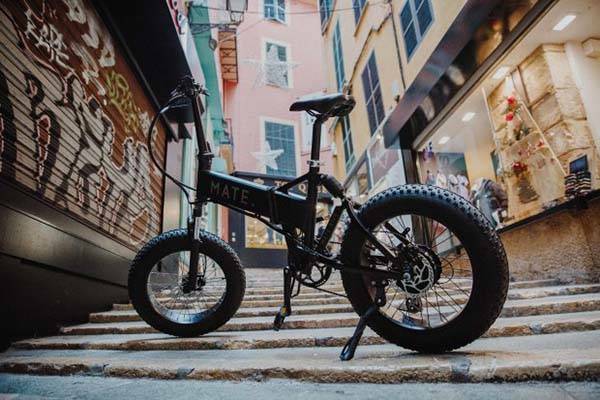 Furthermore, the Mate 750S is the most powerful version in the series, which features a 750W electric motor and 48V 14Ah battery pack in order to offer a top speed of 20mph and up to 55 mi riding range. Moreover, Mate X also features two 4″ all terrain fat tires that bring every rider ultimate comfort and improved control and handling. The front and rear full suspension design allows for smooth riding, and the Tektro mechanical disc brakes protect you from some dangerous accidents. There is an integrated backlit LCD display at the center of the handlebar that shows you all data including speed, distance, and battery life. An extra USB port allows it to charge your smartphone during riding. The team behind Mate X is raising fund for the product on Indiegogo. We can pledge $699/$799/$899 to preorder Mate X 250/250+/750S. All the folding electric bikes will be shipped in October 2018.